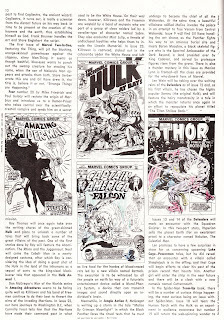 Karen: It's time to take a look inside the pages of FOOM #3, published in Fall 1973. 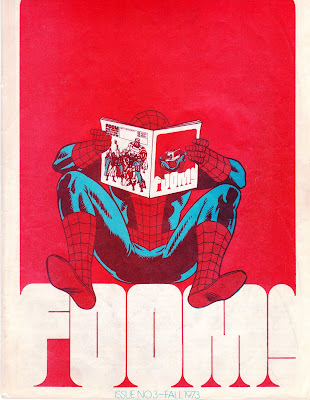 This issue features Spider-Man, and the cover is a clever "infinity" design, with Spidey reading the latest issue of FOOM, which has Spidey reading FOOM, ad infinitum. 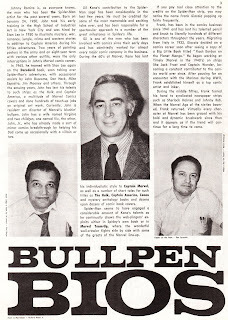 Karen: There's more Bullpen Bios, this time featuring John Romita Jr., Gil Kane, and Frank Giacoia. It's funny how business-like these men look compared to today's comics pros, who all look like over-grown kids - then again, I could say that about myself and most of my peers! Times have changed. 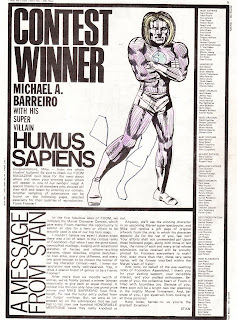 Karen: The winner of the Marvel character contest was announced: "Humus Sapiens" by Michael A. Barreiro. Check out the picture (and please ignore my scribbling/coloring)-doesn't he look very Kirby-inspired? I wondered what happened with this, as I certainly never recalled seeing him show up in a Marvel comic. So I went to that source of all information, Wikipedia to discover that the character finally appeared, in 2001, in Thunderbolts 54! Sounds like an extreme case of the Dreaded Deadline Doom to me. Karen: On to Far Out Fanfare and Infoomation, my personal favorite section of FOOM. Right up front we get an announcement that Marvel has become the best-selling comic company in the country. 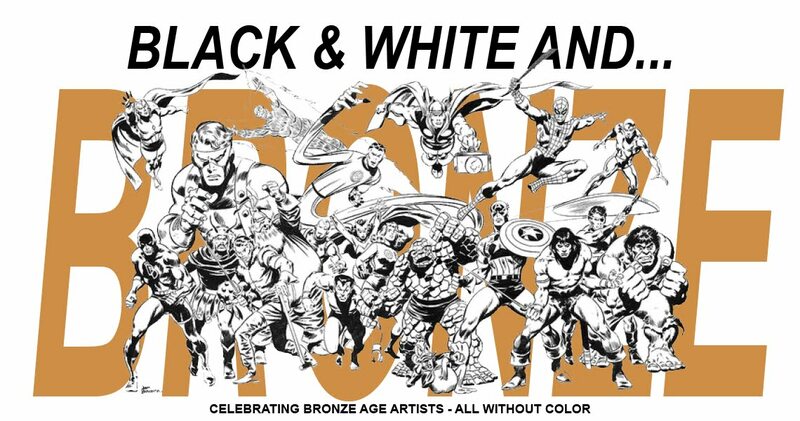 I know that I've read in interviews with Roy Thomas and others that this was huge for Marvel. Finally no longer number 2, I'm sure it was very gratifying for all of them. One might wonder though, if being number one sometimes lead to them taking fewer chances, creatively, later on? I've always felt that when Marvel was under Jim Shooter -when they were well-established as number one -that the creativity of the books went down. Anyone care to discuss? Karen: The black and white titles still seem to be struggling; we are told that the monster books are going onto a quarterly schedule, and Savage Tales will be on hold until the sales figures from the previous issue are in. Crazy, however, seems to be doing fine. Karen: Over in Amazing Spider-Man, our hero will be having his first encounters with the Punisher and the Jackal. "The Punisher is patterned after the one-man, vigilante 'Mafia-buster' books that are currently popular." 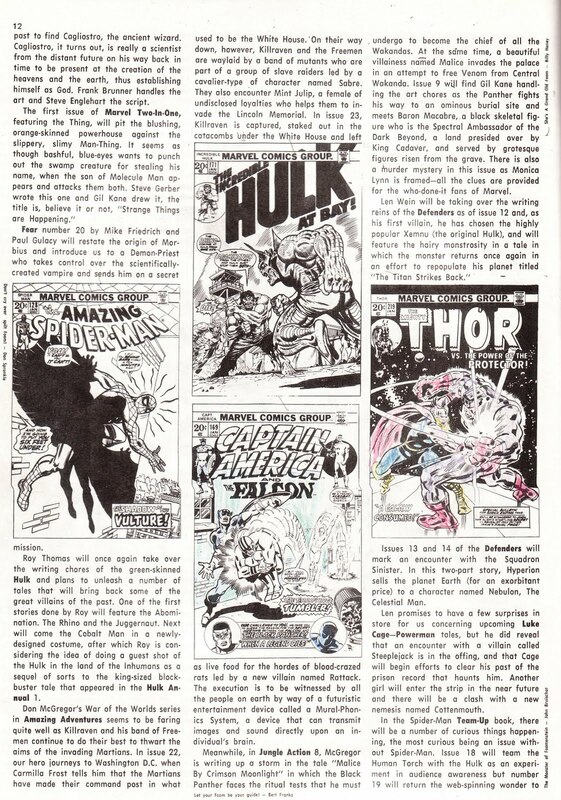 Little did they know what they were creating, or how it would so dramatically affect comics for years to come! 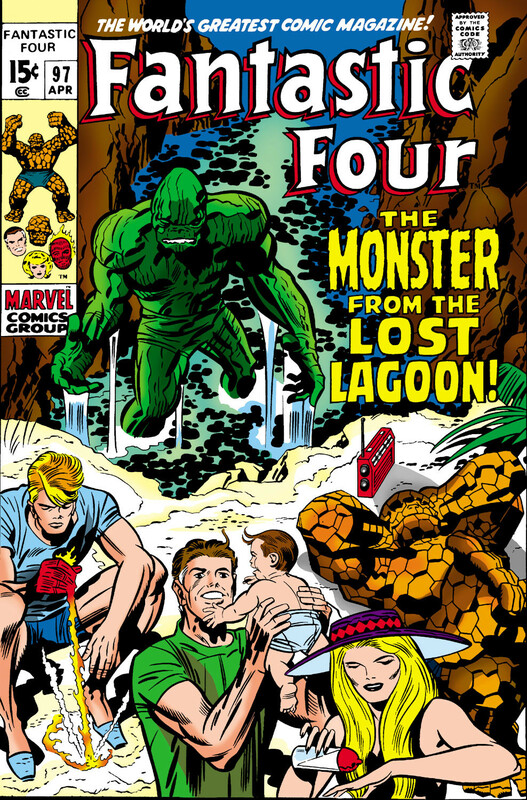 Karen: Ka-Zar and the Man-Thing would soon get their own titles, and the Thing would star in Marvel Two in One just as Spidey headlined Marvel Team-Up. Sub-Mariner is said to be starting a "year long quest" for an antidote for his poisoned people in issue 68, however, the book would fold with issue 72. Karen: The title previously announced in issue 2 as "Fu Manchu" has now been retoole d and will be called...Master of Kung-Fu! 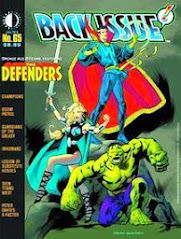 Well, it will actually appear in "Special Marvel Edition", formerly a reprint book, for a few issues. But it was the beginning of Shang-Chi's adventures. 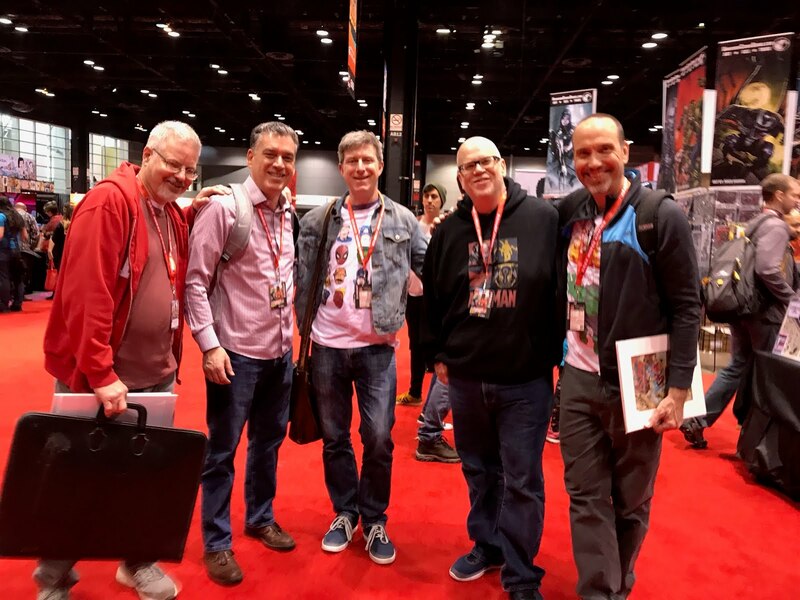 Karen: Lots of news for Jim Starlin's Captain Marvel, including "the unmasking of Death, a new concept in God, Captain Marvel's battle against the universe, and an alien invasion"!! Starlin never did think small! Karen: The back cover has a very nice drawing of the Avengers, which looks to me to be the work of Sal Buscema. For some reason, I drew Spider-Man and the Hulk in the background. I'd swear I've seen this art before, as a pin-up in an issue of Avengers, but I looked through the annuals and several issues and couldn't find it. The closest I came was the image next to it, from Avenger 71. Anyone got any ideas? NOTE: In the comments section, artist Tom Lyle noted that his entry had been posted in this issue. I thought it might be fun to take a look at it. I can see the Barry Smith influence! Man, do I ever dig these FOOM Fridays. I was a proud, card-carrying Foomer from the get-go, and I still pull those old mags out for inspiration. Btw, I actually had my name printed in this ish. It's on the list of entries on the inside back cover. Oh, the joys of fame! Congrats, 'Groovy Agent..! This was my first ish of Foom and it was incredible.. Always LOVED the back pic of the Avengers, esp Ironman, Cap and YJ's poses. I like the FOOM Friday feature as well, mainly because I never had the opportunity to read these, and also because I actually enjoy seeing Karen's doodles and coloring jobs on the various pages. It reminds me of my own early comic-reading days when I "enhanced" the artwork in my own mags. By the way, Karen, I think it's John Romita Sr. and not Jr. in that bio. 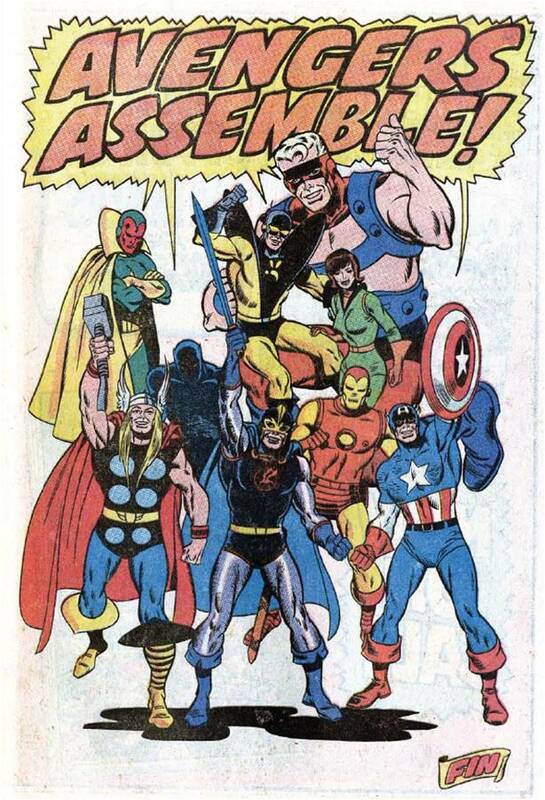 Was the Sal Buscema Avengers pic used in one of the Avengers Treasury Editions? The one that reprinted the Panther's Avengers debut, the Vision's debut, Hank and Jan's wedding and the "Lady Liberators" story? Edo, I can't believe I said John Romita Jr! Especially since I can't stand Jr's artwork! But I'm glad you like my younger self's "embellishments". I look at these almost in horror now, but I do remember a time when I drew super-heroes everywhere. Certainly as a child you have a level of freedom to do these things that disappears later, when we start putting rules on ourselves -like never draw in your comics! Can anyone confirm Steve's thought that the Avengers pic might be from a treasury edition? The only one I have left is the Superman vs. Spider-Man book. That's a pretty good guess, I seem to recall many a pin-up in those. Yes, I'd love a response on that.. I would LOVE to find a nice pin-up pick from one of my favorite line-ups! Yes, Steve's right about that Avengers pin-up. It's from Marvel Treasury Edition - The Mighty Avengers no. 7, 1975. Hooray! Thanks, cerebus. I'm awarding myself a Steve Does Comics No-Prize for it - and everyone knows how sought after they are. I'd always thought that the Avengers pin-up images by Sal Buscema were the same, that is the one from the regular comic was the one used in the FOOM issue, but clearly a side by side comparison shows this is not the case at all. The only thing is, if that treasury edition was published in 1975, that puts it two years later than this FOOM issue! So I think we still have a mystery. Or maybe the FOOM issue WAS the first place it was published. I always thought it was the same picture as in Avengers 71, too. Perhaps, it's a rejected version of that page? Not really sure why it would be rejected, though. 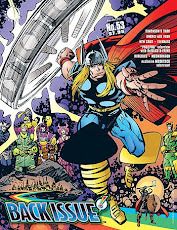 I'd believe that the Foom Avengers drawing was done either especially for ish 3, or was done and not yet used for another outlet. 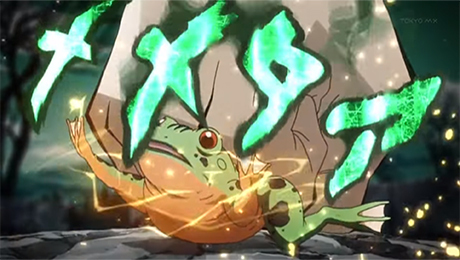 It's the BEST image I've seen, so I was hoping to find out whether it was used else where. 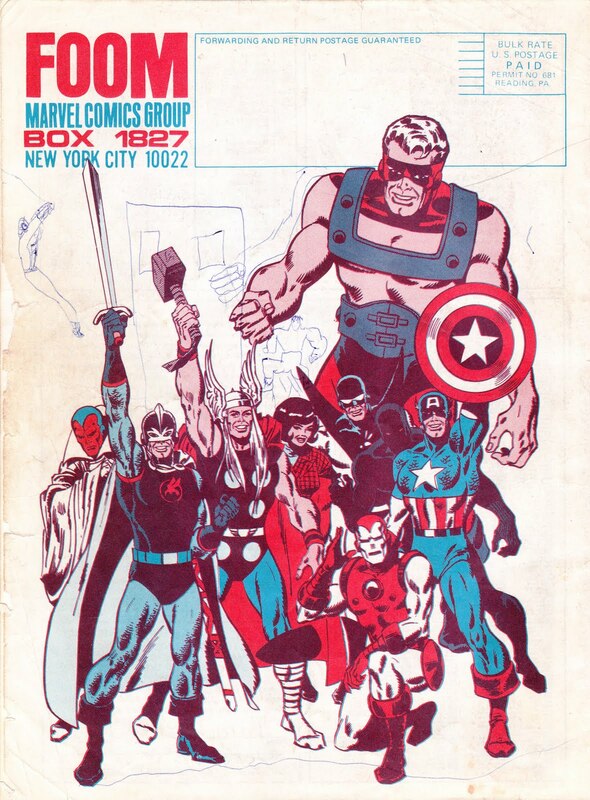 I'm not familiar with the Treasury ish 7, so I'll have to look it up tonight..
As for Avengers drawings, Doug, I can't recall which blog subject we were discussing where I commented on Milgroms WCA art earlier, but can I publically announce that I REALLY hated the WCA covers as well until Byrne took over. How could these have gotten by the Marvel powers-to-be was beyond me. 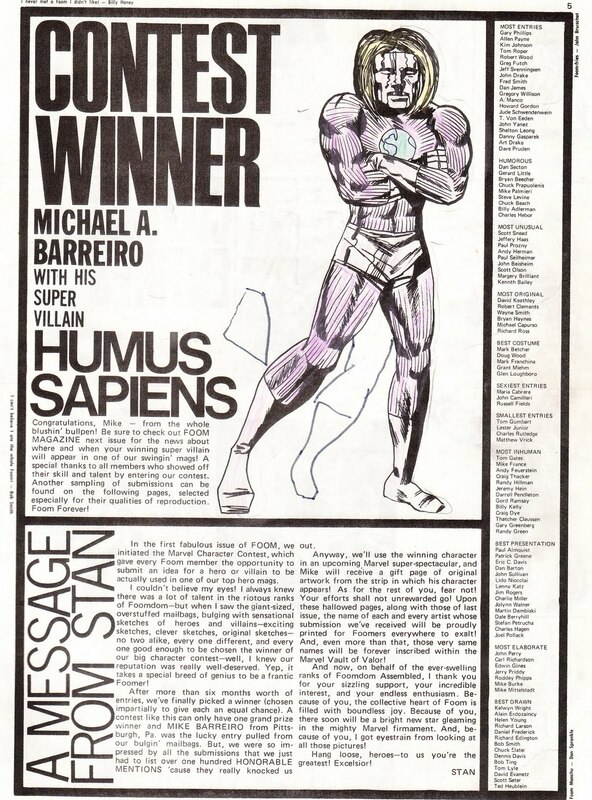 Have you ever noticed how many of the people that entered that character design contest in FOOM - myself included - made it in the comics industry? 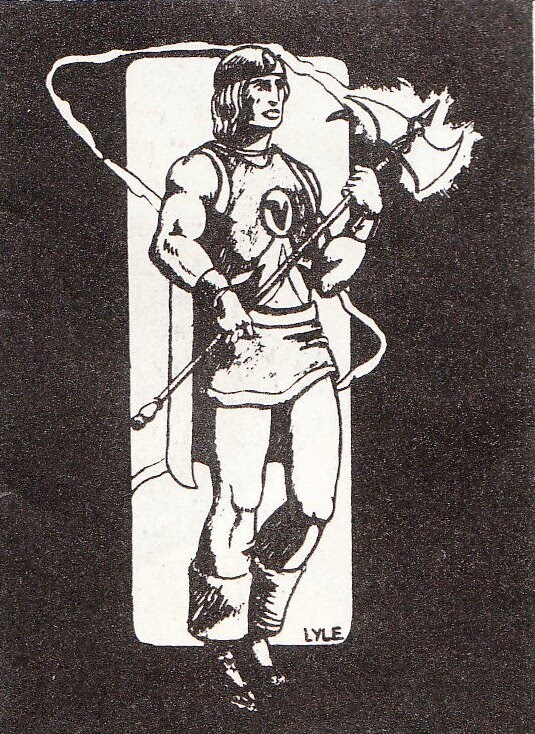 My bad BARRY SMITH rip phase was represented by my character - and it was in that issue. Hi Tom, thanks for stopping in and posting. 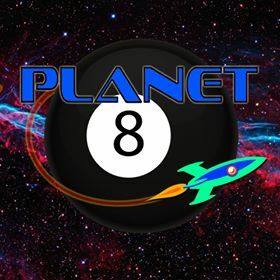 I've copied your contest entry at the bottom of the post. It's a good thing you told us it was yours, as Marvel didn't label it! It has a definite cool 70s sword and sorcery feel to it. One of the fan art drawings was done by a bud of mine,at my home from my urging him to do so.One of the best printed.The envolope it was sent in, had an R.Crumb type hot dog man drawn on it,alone worthy of printing.